Ms. Suman Pawan Bodani has become the first Hindu woman to be appointed as a civil judge in Pakistan. She secured 54th rank in the merit list and will serve in her native district of Qambar-Shahdadkot. As per reports, Ms. Bodani passed her LLB. 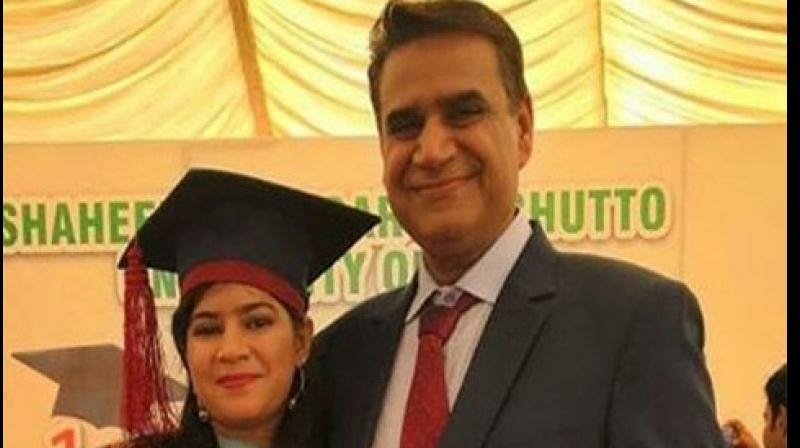 examination from Hyderabad and did her masters in law from Karachi's Shaheed Zulfiqar Ali Bhutto Institute of Science and Technology (SZABIST). She then practiced law for two years, under renowned advocate Justice (R) Rasheed Rizvi's law firm. She now wishes to provide free legal assistance to the poor in Sindh's Qambar-Shahdadkot. "I have entered the field of law because I know that in the backward areas of Sindh, poor people need a lot of advice and assistance in legal matters," she was quoted as saying. She also reportedly faced resistance from her community, as they do not approve of girls working in the field of law. However, she recalled that her family extended their full support and did not pay any heed to what people said. Last year, Justice Syeda Tahira Safdar made history after becoming the first woman chief justice of a high court in the country. As for Hindu judges, Justice Rana Bhagwandas was actually the first judge from the Hindu community in the Muslim-majority Pakistan. He served as the acting chief justice for brief periods between 2005 and 2007.